My wife and I were both instantly awake in the middle of the night. We sensed the presence of evil in our bedroom so strongly that, without exchanging a word, we dropped to our knees, and began to pray. For months we had been in the middle of spiritual warfare. A couple within our new church was stirring dissension. They undermined my authority and criticized my leadership. I had never encountered such opposition before. Instead of focusing on winning people for Christ and building them up in the faith, my time and that of our elders was consumed by this crisis. The couple at the heart of the problem refused reconciliation, and continued to blame me. That night my wife, Dionne, and I cried out to the Lord, pleading the blood of Jesus and claiming His mighty Name until the evil entity left our house. The prayer session in our bedroom seemed to be a turning point. Ultimately our congregation took steps to remove the unrepentant members from the church. Church attendance, which had been declining, started to increase again. God delivered us as we learned to fight on our knees! Attacks of the enemy are inevitable in church planting. Be humble, admit when you are wrong, build a solid base of support with your elders, and fight on your knees. 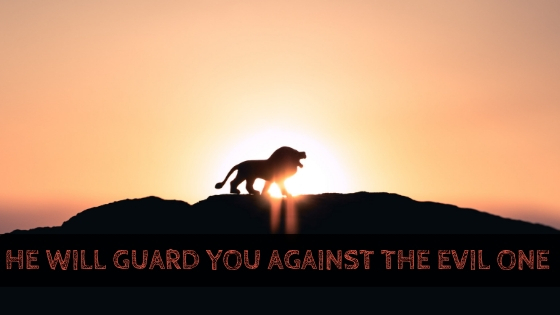 Claim the promise of our great God: He is faithful, and He will establish and guard you against the evil one! Lord, Please build a hedge of protection around me and my family, and around our church. We trust You and stand on Your promises! Amen.